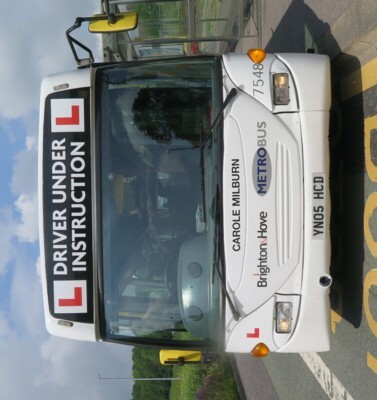 Connections with Brighton and Hove : Carole was a great horsewoman. She started riding when she was 4. She came to Lewes and started work at 16 and worked up to training racehorses. As a result, she took racehorses around the country in big lorries so got her HGV licence. 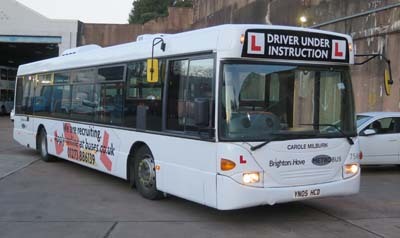 Later she started with Brighton Blue buses, later B&H Buses, on the blue coach and drove round Europe in it. Her life was her job, she loved her boys on the buses! 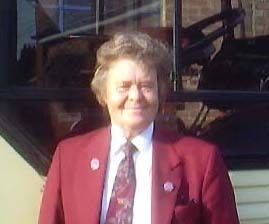 She was very happy with the bus company and would be delighted to be honoured in this way. 7548 Scania Omnicity - carried name since December 2017 on a training bus.